The real estate market in Grimaud and Port Grimaud is very dynamic. An estimated 1-3 % of the housing stocks are on sale at every moment, for an average price of €5,325 per meter square for an apartment and €6,248 per meter square for a villa in the village of Grimaud. These prices are, of course purely indicative since many criteria can affect them such as the arrangement of the property, its exposure, its proximity to shops and schools and the presence of a garden and a swimming pool for example. 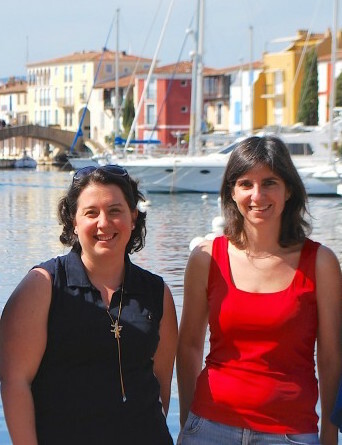 In a market as competitive as that of Port Grimaud, you need a team of seasoned advisers and experienced personnel able to sell your property at the rate and within the time limits that suit you. At Boutemy, our team is composed of 2 agents, all specialists in real estate and in our beautiful region. W have studied in some of the most prestigious business schools in France and have extensive experience in the real estate market. As a consequence, we have all the skills one can expect from a great real estate agent: a thorough knowledge of Grimaud and our property, but also a large force of persuasion, negotiation and pugnacity. We also often work with a very wealthy and very demanding clientele. This is why we devote significant attention to ensuring the strictest level of confidentiality and you are always welcome to the agency every day of the week, during the summer. We indeed want to meet the needs of homebuyers who wish to find their dream property as quickly as possible without devoting many days to visits. If you want to sell your property or are looking to buy a villa or apartment in Grimaud, we invite you to first get an idea of the properties for sale on the market on our website www.boutemy.net. If you are a buyer, we hope you’ll find on the website the house of your dreams. Please go ahead and search according to your criteria of price and area. If you can't find exactly the property you want, you can contact us at 04 94 56 56 58. We can then arrange an appointment by phone or in person. We will then do everything we can to find the « rare pearl »: we will canvas the village and contact our colleagues from the other agencies. And if the property you are looking for is sold by one of these other agents, we will put you in touch. Thus, there is no need for you to go to several agencies trying to look for what you want. We just don’t want you to waste your time. If you're a seller, our website will allow you to establish a comparison with similar properties. However, since each property is unique, we will visit your house or apartment for a free estimate, entirely at our expense. We will then discuss the price and later display it at our agency and on our various media and on the internet. A conveniently located agency and an appealing website aren’t enough to be the best sales agency in the village. Therefore, in addition to our boutemy.net website in French, we have created the boutemy.net/en site designed for foreign customers. 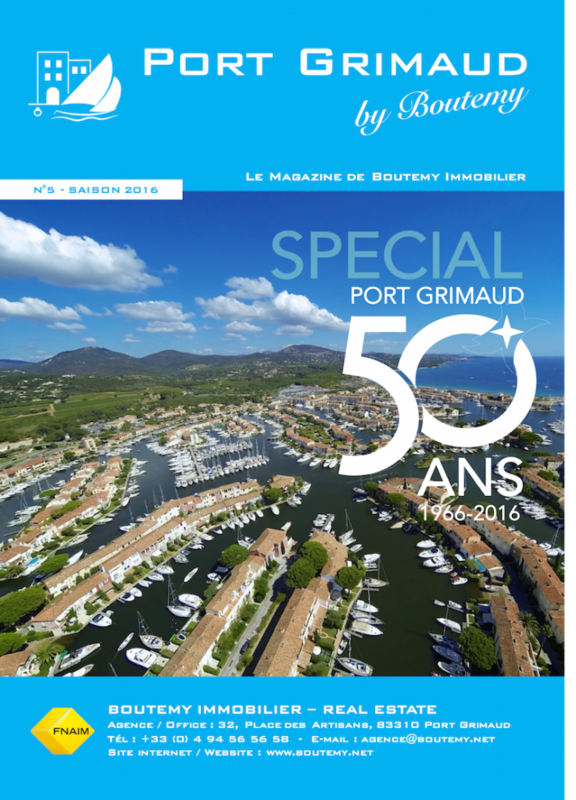 Our Boutemy-Blog blog covers local news of Port Grimaud and is read by hundreds of tourists each month and regularly brings us new customers. But that is not all! We have also created a Youtube Channel where you will find all our listings on video and we are active on social media sites as well. We can therefore say that we are one the the top agencies in Grimaud with a lot of media coverage and mentions in social media. In addition, we publish a quarterly magazine, Boutemy Mag which is widely distributed in the entire village. We put forward some of our best assets and this helps reinforce our image of active Realtors who are on the field all year long. If you want to benefit from our network built over the last 20+ years and from the best publicity for your property, please be sure to contact us.